Labor had considerable success in racing with their distinctive frames. Patented by Iver Johnson in 1900, the truss bridge design became popular in France as a result of world champion Major Taylor, who raced for Iver Johnson in France to escape prejudice in America due to his colour. 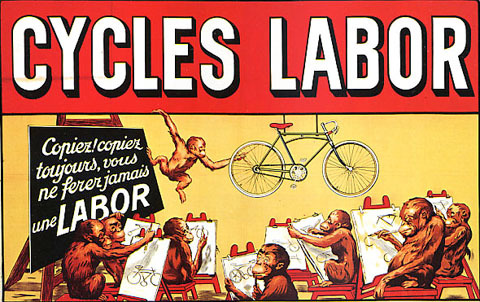 Labor introduced their own truss bridge bicycle in 1906 and the model continued through the 1920s. 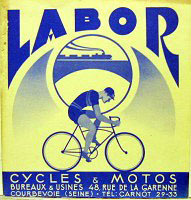 The example below shows Maurice Dewaele of Belgium, 2nd in the Tour de France in 1927 with his Labor. This is a nice example, recently restored and fitted with wooden wheels and new tubular tyres.